Introducing Our New Executive Director, Don Gorney! Earth Day Indiana is pleased to introduce our new Executive Director, Don Gorney. Don joins us from Amos Butler Audubon, where he promoted the enjoyment and conservation of the birds of central Indiana. He served first as the organization’s president then as its first full-time employee. 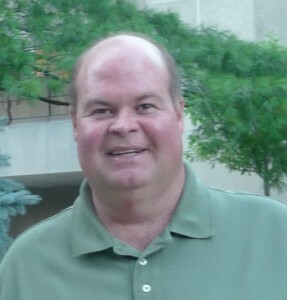 Don is an alumnus of Indiana University, holding a BS in Business Administration. Don is active in the Indianapolis nonprofit community, serving on the Boards of Directors for Friends of Fort Harrison State Park, Indiana Native Plant and Wildflower Society, and Friends of Cold Spring School. freshbooks review For the past five years he served as a board member and treasurer for Earth Day Indiana, providing invaluable experience in his new role as executive director. Don actively volunteers in providing nature education to both school students and adults, including those in underserved audiences. He is currently volunteering at the Indiana School for the Blind and Visually Impaired to teach students about birds and the environment. Combining his passion for birds and his belief in sharing knowledge, Don has led seasonal bird walks at Fort Harrison State Park since 1999. Please join us in welcoming Don as our new Executive Director. We look forward to our future under his leadership! Previous Previous post: Introducing Our New Web Site! Next Next post: Minoxidil For Beard: Does Rogaine Really Work For Beards & Facial Hair?